Electric Cars - Is the future here today? 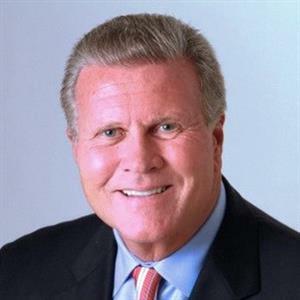 Jack Massari has been a member of the Rotary Club of Brentwood since 1996 and is a former Bob Billington award recipient. Jack has a BS in Engineering from Clemson, a PE and an MBA. He spent over twenty years in the corporate world in manufacturing, mining, engineering, quality and sales in union and non-union industrial environments, and served as President of the North American subsidiary of a global company. In 1995, he founded an Internet business that he ran for 23 years until selling it in 2017. Jack has always been a “car guy.” He became interested in alternative fuel vehicles, purchasing a hybrid in 2015, then a plug-in hybrid and finally an all electric car. He’s received many questions about the experience and thought it might be helpful to share some thoughts with the Club. Christine Williamson was awarded the opportunity of a lifetime when she was crowned Miss Tennessee on June 23, 2018, at the Carl Perkins Civic Center in Jackson, Tennessee. As Miss Tennessee, FTB Advisors sponsors Christine as she serves as the Governor’s Official Spokesperson for Character Education and travels over 80,000 miles speaking to 50,000 schoolchildren about Character Education. Throughout her year of travels, Christine also serves as Tennessee’s Goodwill Ambassador for the five Children’s Miracle Network (CMN) hospitals across the state. She also holds positions as a National Spokesperson for the Alzheimer’s Association, an Ambassador for the Tennessee Brain Games in partnership with the Tennessee Commission on Aging and Disability, Honorary Board Member of the Tennessee Respite Coalition Board of Directors, Official Friends of Monroe Carell Jr. Children’s Hospital at Vanderbilt Board Intern and as Volunteer Tennessee’s Honorary Board Chair. Christine is a 23-year-old Graduate Student at the University of Tennessee at Chattanooga College of Business, pursuing her Master’s Degree, as well as an additional certification in Data Analytics. She was honored with the UTC Chancellor’s Outstanding Service Award for outstanding academics and service this past summer. Christine is not only a member of the UTC Graduate Student Association, but also serves as Public Relations Chairman. Christine is a graduate of The University of Mississippi with a Bachelor of Arts degree in Broadcast Journalism, with an emphasis in Public Relations and a minor in Political Science. She was on the University of Mississippi’s Dean’s List, was a Founding Member of the Anti-Sexual Assault Organization, was a student member of the lobbying group AiM as well as an iSTAART student member. Christine has been awarded over $49,000 in college scholarships from her participation in the Miss Tennessee program. She received the coveted Miss Tennessee Quality of Life Award in 2018, and was also a Preliminary Lifestyle and Fitness Winner and also a Preliminary Talent Winner as she captured the Miss Tennessee crown. Additionally, Christine achieved the Duke of Edinburgh Bronze and Silver Medals. and was Thanks to these scholarships from the Miss Tennessee Organizations, Christine was able to graduate debt-free from the University of Mississippi and is now able to complete her Master’s Degree and PhD! Rear Adm. John F. Meier, is a native of Export, Pennsylvania. He’s a 1986 graduate of the United States Naval Academy with a Bachelor of Science in General Engineering. He completed flight training in Beeville, Texas and was “winged” as a naval aviator in August 1988. Meier’s operational assignments include Electronic Attack Squadron (VAQ) 141, Carrier Air Wing (CVW)2, VAQ-128, and executive officer onboard the USS Harry S. Truman (CVN-75), during which the command was recognized with the 2008, 2009 & 2010 Battle “E” and the 2009 Safety “S.”. Command tours include VAQ-136, earning the Safety “S” and Battle “E” in 2004 as well as the 2005 Retention Excellence award; USS Gunston Hall (LSD-44), earning the 2011 Battle “E” ; and most recently PCU Gerald R. Ford (CVN-78) earning the 2014 & 2015 Retention Excellence awards. Meier’s shore assignments include tours at VAQ-129, where he was recognized as the Instructor Pilot of the Year in 1995; EA-6B placement officer at Navy Personnel Command; senior operations officer and emergency actions officer on the Chairman of the Joint Chiefs of Staff in the National Military Command Center; requirements officer for EA-18G at Office of the Chief of Naval Operations (OPNAV) N88; assistant chief of staff force readiness officer at Commander, Naval Air Forces; and the assistant commander, Navy Personnel Command for Career Management (PERS-4). Meier has participated in operations around the world since Desert Storm, Lead Southern Partnership Station and built the crew and culture of the USS Gerald R. Ford (CVN-78) as her first commanding officer. He has accumulated over 4,000 flight hours and 675 carrier landings. His decorations include the Legion of Merit (4) and various other personal and unit level awards. Meier assumed command of Carrier Strike Group 10 in March 2018. Most agree – we owe a great debt to our veterans. 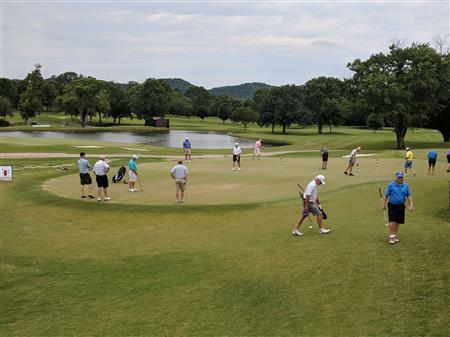 Upon returning, most veterans assimilate back into the community well. Many find that transition difficult due to combat trauma. Jim Bonds will address the July 12th Brentwood Rotary Club about his involvement with Reboot Combat Recovery. Brentwood Baptist Church is one of 160 Reboot host sites throughout the nation offering this faith-based, 12-week course to assist veterans overcome trauma-related issues. More than 4,000 veterans have graduated from Reboot nationally. Jerry Park is a Southerner. Born and raised. His soul forever imprinted by his heritage. That means there’s a story in everything he sees, and he tries to tell it in the resulting photograph. Tradition, loss, hope, tragedy, family and foolishness - all the themes we are drawn to in the best of southern literature, historical and fictional. He offers the viewer a glimpse into that lush mosaic by looking at images. He also often accompanies his photographs with written expressions - short stories, essays, poems - brought to the surface by his own contemplation of the print. Collected and exhibited around the country. Published in books, magazines, and newspapers. Contact info: jerryparkphotograph.com or jerryppark@comcast.net. 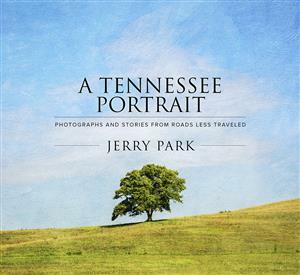 His new book, A Tennessee Portrait, is the result of two years and over 10,000 miles of wandering around the backroads with camera and pen in hand. Through photographs and short stories, Portrait offers a unique combination of image and word to anyone who appreciates heritage, beautiful scenery, and a good yarn.